Fiber to the home (FTTH), now a market trend in access technology is the extreme fiber penetration concept, being widely deployed throughout the world. Though FTTH is widely deployed, the lack of standards and regulations has made the technology some what ambiguous in the recent years. There are no clearly defined standards being used for Fiber to the home technology, even though FTTH Councils had made valuable attempts to define the standards. Fiber to the home in Europe may fall short of nothing more than fiber to the curb, but in Japan, fiber to the home means, really the optical fiber going to the wall mountable rosette inside the home and from there to the Optical network Terminal (ONT) also through optical fiber cord, which is designed to withstand small bending that may occur when children play with it. The concept has totally revolutionized fiber access technology in Japan and many other East Asian countries. Following the footsteps of Japan, UAE is also marching towards full connectivity with fiber. As stated above, some of the European FTTH is not really the fiber to the home concept, but mixed with the use of copper cable, thus compromising on the bandwidth and quality to the cost concerns. Fiber access network topologies can be classified into two groups. The first one is the point-to-point fiber and the other one is star topology. 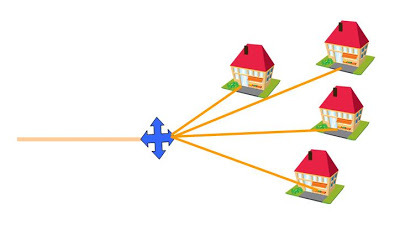 Point-to-point access network topology is nothing but a direct fiber connection from central telephone office to the home. The whole optical fiber link from central office to the home makes this concept unique. In other hand, Star topology requires an additional node in between the central telephone office and the end user (ONT). Feeder cables from the central office to the intermediate node and then the distribution cables to the end user make the star topology more economical. The number of fibers in the feeder cables can be kept low in star topology. This topology is used by major telecom service providers now in Middle East and East Asian countries. There are active nodes, thereby active stars and passive nodes thereby passive stars depending on the use of electrical power. Passive nodes make passive optical networks. Passive optical Networks or PONs can be further grouped into WDM PON and Classical PONs. Wavelength Division Multiplexing PONs (WDM PONs) and Time Division Multiplexing PONs (TDMA PONs or classical PONs) use different wavelengths for their operation. 1310nm wavelength is used for uploading and 1490nm is used for downloading traffic. In GPON, apart from the use of 1310nm and 1490nm for uploading and downloading, there is a use of 1550nm also, which is used for Video overlay. TDMA PONs have major share in the market. Time Division Multiplexing PONs have different varieties like GPON (Gigabit PON) and EPON (Ethernet PON). GPON is a successor of BPON (Broadband PON). GPON is based on ATM and sometimes GEM (GPON Encapsulation Method that allow TDM and more efficient Ethernet transport than ATM). EPON is based on Ethernet and is little bit more expensive than GPON, and have less bandwidth than GPON. Ethernet PON (EPON) is popular in East Asian countries like Japan, China etc. GPON is the market leader in U.S, Europe and other Asia. As Japan and other East Asian countries lead the FTTH market, the number of EPON equipments used in the field is more than the GPON. Japan itself, the number of FTTH subscribers had crossed the mark of 14 million. South Korea has WDM PONs. 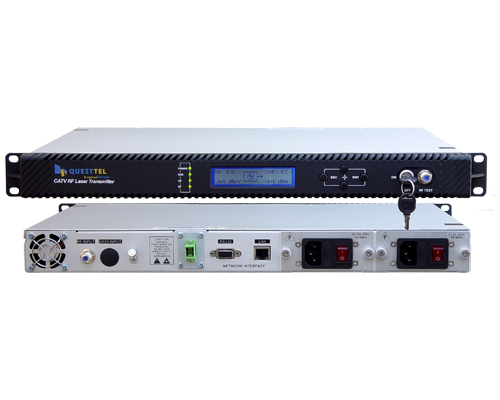 WDM PON is considered as the ultimate PON technology. It will be worth to recall all the Fiber penetration market surveys showing South Korea as one of the leader in fiber broadband penetration. 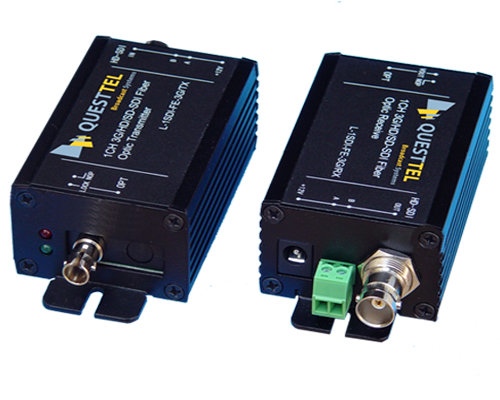 Ethernet FTTH uses active Ethernet aggregators to deliver dedicated bandwidth to subscribers. 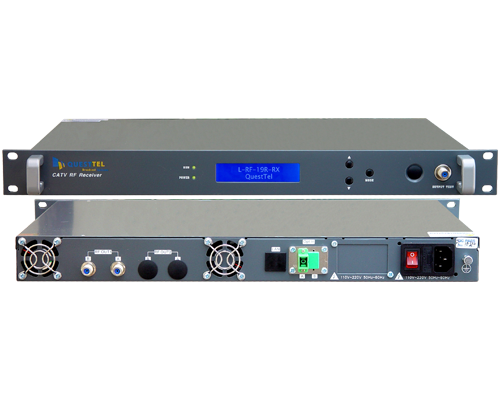 PON uses splitters that limit the reach of individual fibers to the subscriber. If we place the Ethernet aggregator as remote node, the topology will then change to star topology and if the Ethernet aggregator is located in the central telecom office, the topology will be a point-to-point topology.